The teams from the opposite poles of the Nation (Hamburg-North, Stuttgart-South) were then perennial powers in the West German Bundesliga. In case of Hamburg, they were a force in the European Stage as well. 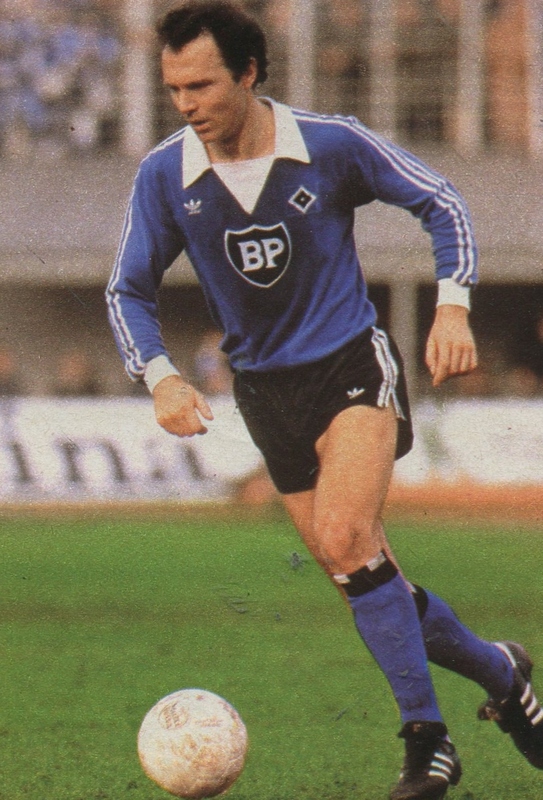 The days when the likes of Magath, Hrubesch, Keegan and Kaltz starred for Hamburg with ‘Hitachi’ and ‘BP’ emblazoned across their shirts. Similarly an exciting Stuttgart team exemplified by the youth of Hansi Muller and the Förster brothers were giving the big guns a run for their money. For most of the 1970s, Bayern Munich and Borussia Moenchengladbach dominated the West German Football landscape with most teams such as Hamburg and Stuttgart unable to reach the same standards. The fortunes of Hamburg changed when Peter Krohn became General Manager on April 23, 1973. The flamboyant and ambitious Krohn wanted to make Hamburg a force in German Football. However, success would take a few years to achieve for Hamburg (Stuttgart as well). The well-respected Kuno Klotzer was appointed as Hamburg manager in 1973. After a mid-table finish in 1973/74, Hamburg showed improvement in 1974/75 (4th place) and 1975/76 (Runner-up) and won the West German Cup (DfB Pokal) (1975/76). VfB Stuttgart fared worse during this time and were relegated at the end of the 1974/75 season and would remain in the Second Division for the next two seasons. For the 1976/77 season, despite a relatively poorer campaign (6th place), SV Hamburg were triumphant in the Cup Winners Cup by defeating Anderlecht. This off-season of the year 1977 became a pivotal date for both teams, as Stuttgart was also promoted back to the Bundesliga. It was during this summer that Peter Krohn made the play to take Hamburg to the next level. He sanctioned the purchase of England’s Kevin Keegan from Liverpool for 500,000 British Pounds, which was a record for a Bundesliga side. In addition Yugoslavian defender Ivan Buljan arrived from Hajduk Split. This duo replaced ageing foreign players: the Danish Ole Bjørnmose and Austrian Hans Ettmayer. Keegan’s fee had been too much for both Bayern Munich and Borussia Moenchengladbach, but Hamburg had to pay on its profits to avoid a large tax. During the previous season, Krohn had already informed Kuno Klotzer that he would be relieved of his duties at the end of the season. Most of the squad was against this decision, as Klotzer was well regarded. Klotzer and Krohn had many clashes during their time together. For the Press, Klotzer was too old school to be able to have a meaningful working relationship with a dynamic General Manager like Krohn. 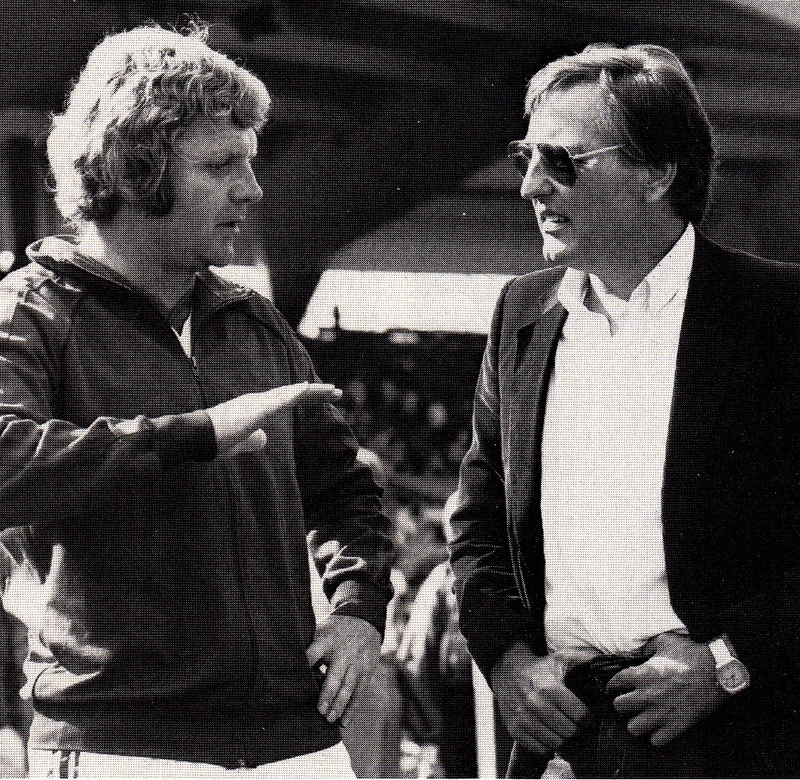 Krohn appointed the globetrotting German manager Rudi Gutendorf in this summer of 1977. The showman Krohn declared that he intended to revolutionize German Football. 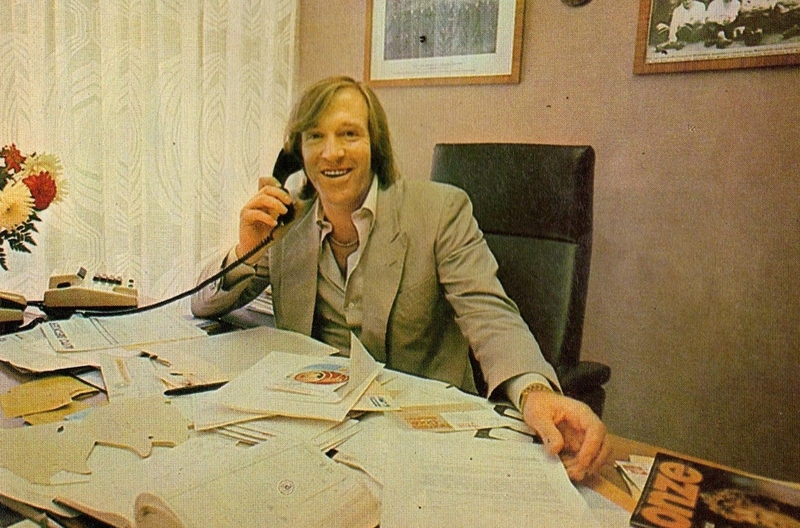 Krohn had balanced the books by among other things being at the forefront of Shirt Advertisement for teams. 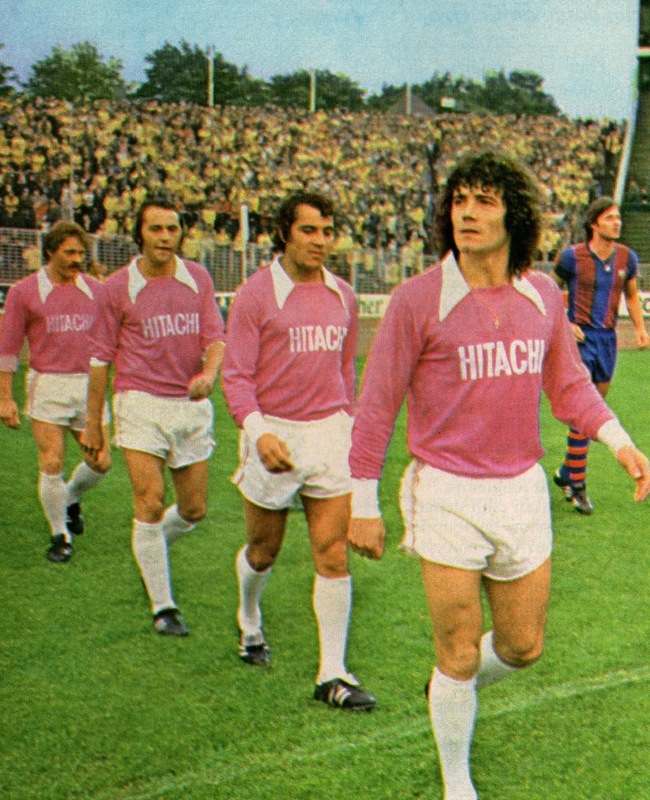 Hamburg were able to rake in extra funds from Japanese Firm ‘Hitachi’ by having them as shirt sponsors. The new signings joined a team that included Rudi Kargus (goalkeeper), Manfred Kaltz, Peter Nogly, Peter Hidien, Capar Memmering, Felix Magath, Willi Reinmann and Georg Volkert. Not much was expected from the newly promoted Stuttgart side, however, they would take Bundesliga by storm by finishing in the Fourth place for the 1977/78 season. 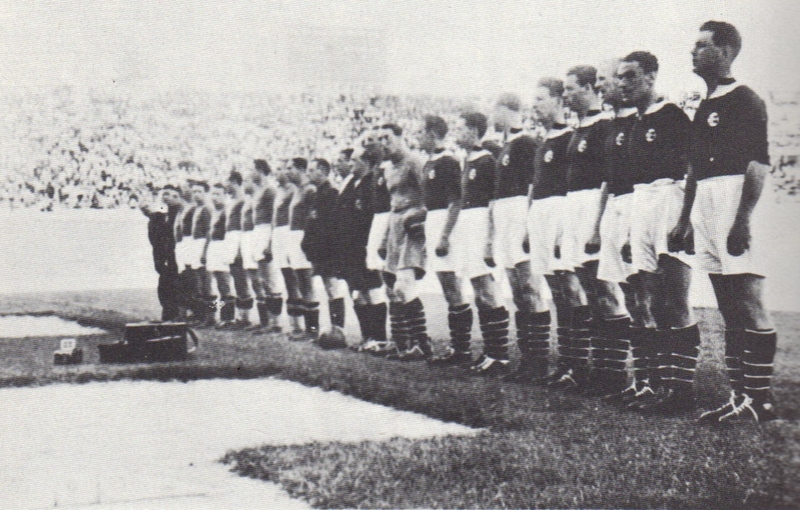 The team included Helmut Roleder (goalkeeper), Karlheinz Förster, Yugoslav defender Dragan Holcer, Bernd Martin, Hermann Ohlicher, Erwin Hadewicz, Hansi Muller, Austria’s Roland Hattenberger, Dieter Hoeness (brother of Bayern’s Uli), Walter Kelsch and Ottmar Hitzfled (nearing the end of his career). By the end of the season, the midfield organizer Hansi Muller and Stopper Karlheinz Foerster earned International honors and were earmarked as the future of West German Football. Stuttgart also turned out to be the best-supported team in the Bundesliga, which was a benefit to them, as the players’ earnings were directly linked to attendance. Their young Manager Jurgen Sundermann was seen as one to watch for the future. Despite all the pre-season promise, SV Hamburg had a poor season (1977/78). Keegan was disappointing and was considered an expensive flop. In his very poor first season, Keegan was also suspended for eight weeks for punching an opponent. On October 28th, 1977, Rudi Gutendorf took a leave of absence and his assistant Ozcan Arkoc took over (and actually improved matters on the field). Many were critical of Krohn for signing Keegan and Buljan and disrupt the team unity that had been built. Keegan even stated that his teammates cold-shouldered him and would freeze him out during matches. With his gamble and plans seemingly in ruin, Krohn also resigned from his position as General Manager. This event would actually turn out to be the catalyst that Hamburg needed. Former Borussia Moenchengladbach and Real Madrid midfielder Gunther Netzer had retired at the end of the previous season. 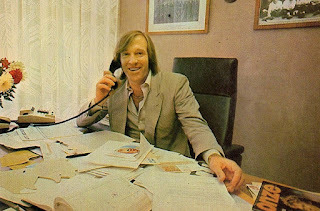 He was appointed as the new General Manager and started in his new post on February 8th, 1978. Due to his difficulties in adapting, many tipped Keegan would be sold, but Netzer chose to hold onto him. Some time later, Netzer remarked in an interview that his initial difficulties at Real Madrid paralleled Keegan’s; as a result he chose to be patient with him. 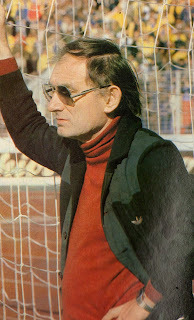 For his first full season as General Manager (1978/79), Netzer appointed Yugoslav Branko Zebec as manager. He also transferred out Arno Steffenhagen and Georg Volkert, whom he perceived were not playing for Keegan and were troublemakers. The new signings included midfielder William ‘Jimmy’ Hartwig (TSV Munich 1860), as well as strikers Horst Hrubesch (Rot-Weiss Essen), Bernd Wehmeyer (Hannover) and Hans-Gunther Plucken (Union Solingen). Branko Zebec brought stability to the team and won the Bundesliga title with a re-energized Keegan. Keegan had become an integral part of the team and managed to score 16 goals. His problems were mostly off the field as he angered the German media by refusing to grant interviews. He was reluctant due to the language barrier, as well as his contract with an English Sunday Newspaper. After a number of stories still suggesting that he was not integrating, he wrote an open letter to Kicker Sportsmagazin and asked the Sports Journalists to leave him in peace and just write about his football. But nonetheless his stark improvement led him to extend his contract by one more year. As far as Stuttgart, the previous season’s exploits had not gone unnoticed and on December 1978, Kicker Sportsmagazin named Jurgen Sundermann manager of the year. Their new arrivals that season were Hamburg’s discarded Volkert as well Karlheinz Förster’s brother Bernd, who arrived from Saarbrucken. They actually improved from the previous season and were Hamburg’s closest challengers and ended up as runner-up. Surprisingly, Sundermann decided to leave Stuttgart and return to work in Switzerland, where he had managed before. In order to not lose his Swiss residency he was forced to return there (In addition his family had pressured him to return). 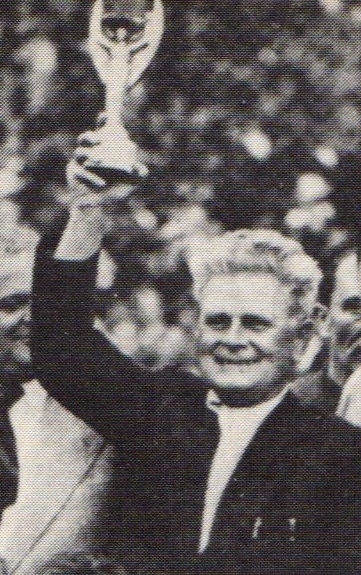 Both teams’ impressive seasons led to first caps being awarded to William Hartwig, Caspar Memmering, Dieter Hoeness, Bernd Förster and Bernd Martin. 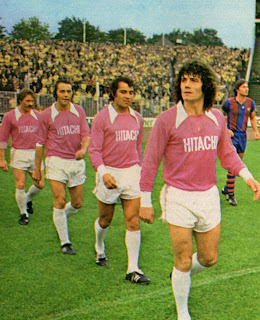 By the start of 1979/80 season, SV Hamburg were regarded as one of Europe’s best teams and a candidate to win the Champions Cup. By now Keegan had been elected as France Football’s Ballon d’Or twice and the team contained many West German Internationals. 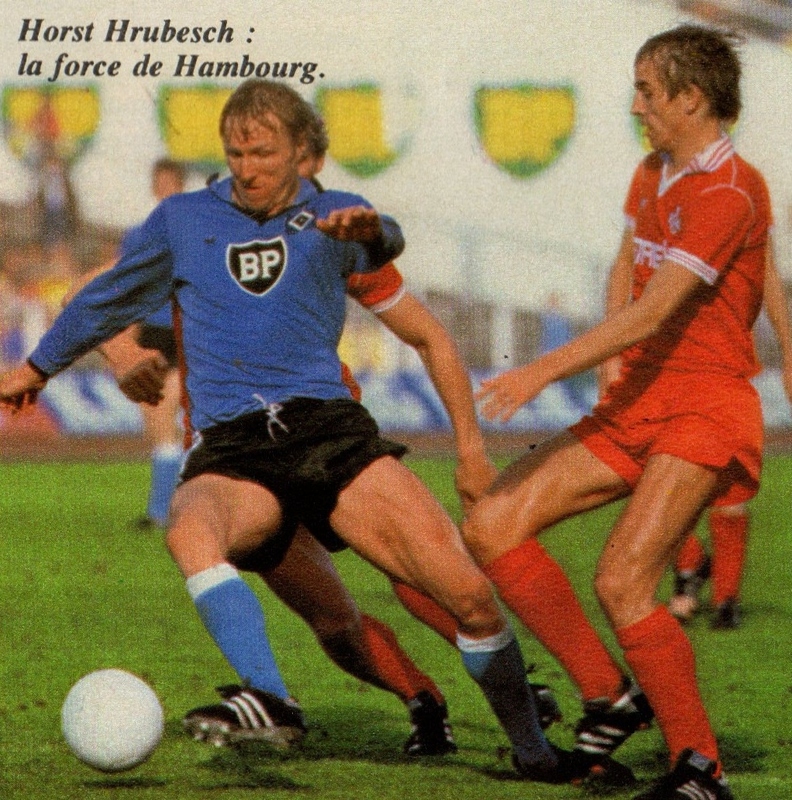 The Kaltz-Hrubesch combination was seen as one of the best on the continent (Kaltz would cross from the right side for Hrubesch to score from headers). Due to major expenditures in the previous few seasons, Netzer made one notable purchase. Central defender and future International Ditmar Jakobs arrived from MSV Duisburg. Future Internationals: Defender Holger Hieronymus arrived from neighbors St Pauli and Jurgen Milewski arrived from Hertha Berlin. Hamburg also ended their partnership with Hitachi and signed on with BP-British Petroleum as their shirt sponsors. For Stuttgart, former Darmstadt Manager Lothar Buchmann was appointed as the new man to lead the team. They were able to keep the backbone of the team, but they were unable to hold onto Dieter Hoeness, who joined Bayern Munich. Stuttgart did well in the UEFA Cup that season by reaching the semifinals. Both Hamburg and Stuttgart were strong, but this was the season that signaled Bayern Munich’s resurgence with the double act of Paul Breitner and Karl-Heinz Rumemnigge. Nevertheless, Hamburg were in the running up until the end. Their loss in the penultimate match vs. Bayer Levekusen cost them the title. Stuttgart for their part maintained their consistency by finishing third. A few days later, Hamburg’s European dream ended in defeat as they lost the Champions Cup Final to Nottingham Forest. Many had predicted them as winners after their demolition of Real Madrid in the semifinals (0-2, 5-1). Hamburg’s end of the season was also marred Manager Branko Zebec’s drunk driving incident in between the Real Madrid ties. Zebec’s position was further undermined when it was reported that following the Champions Cup defeat the players had ignored the curfew set by him and had instead been drinking through the night at the Hotel bar. Furthermore, Kevin Keegan had already declared during the season that he would be returning home for the following season and joined Southampton. 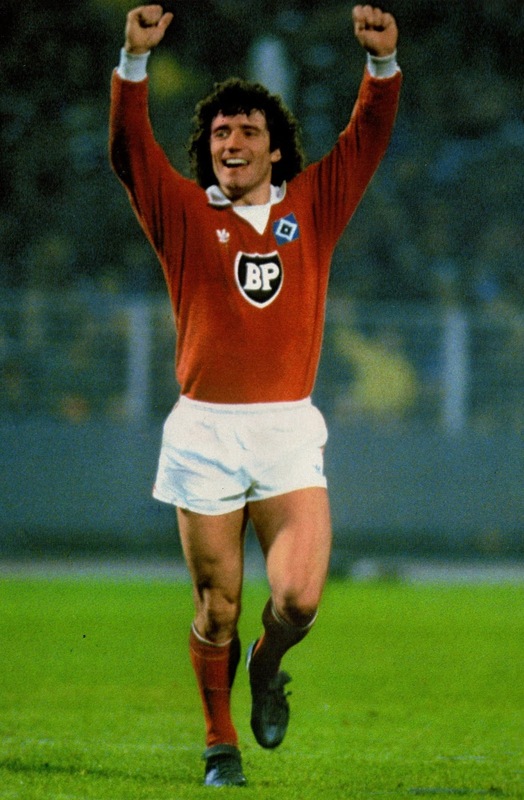 For the 1980/81, Hamburg achieved a major coup by bringing in Franz Beckenbauer. Though ageing, his presence strengthened Hamburg’s box-office clout. Netzer brought in two new goalkeepers Heinz-Josef Koitka (Rot-Weiss Ludenscheid) and Uli Stein (Arminia Bielfeld) as back-up, along with midfielder Jurgen Groh (Kaiserslautern) and striker Werner Dressel (Werder Bremen). The 1980/81 was similar to the previous season as Bayern Munich triumphed in the League with Hamburg and Stuttgart just behind. Stuttgart welcomed back Jurgen Sundermann at the helm and maintained their UEFA Cup standing of the previous seasons. 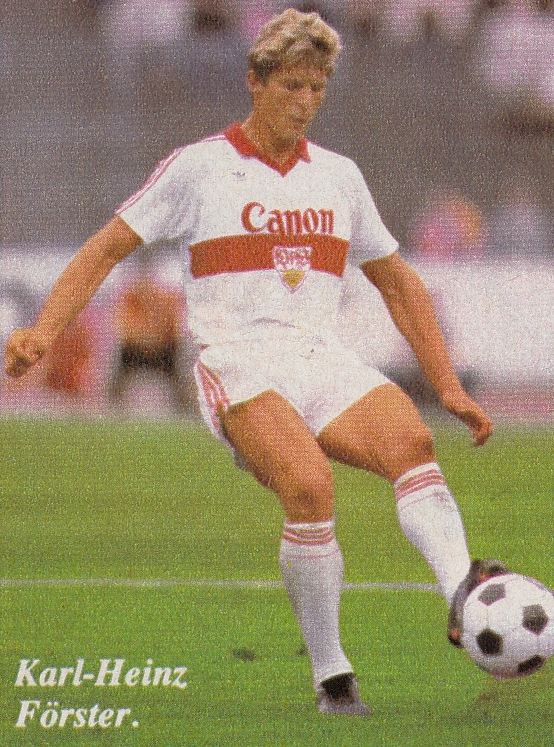 During the season Gunther Schafer made his debut with Stuttgart, he would remain with the club until 1996. Karl Allgower arrived from Stuttgart Kickers and future German national Team manager Joachim Low arrived from Freiburg (though he only made four appearances). In the UEFA Cup, SV Hamburg were eliminated in the third round after a humiliating (0-5) defeat at home to Saint Etienne. By midseason, Branko Zebec was relieved of his duties, as his problems with alcoholism grew more visible and problematic. His assistant and compatriot Aleksandr Ristic replaced him. 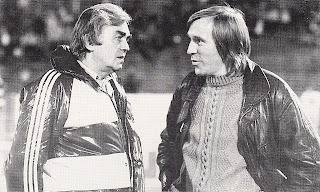 For the 1981/82 season, Netzer hired Austrian Manager Ernst Happel to lead the team. Two new foreign strikers were also signed, the Yugoslav Borisa Djordjevic (Hajduk Split) and Danish Lars Bastrup (AGF Aarhus). Djordjevic would fail to adapt, while Bastrup was more successful. Happel installed Uli Stein as his starting goalkeeper and gave a more prominent role to Thomas von Heesen. The disciplinarian Happel molded Hamburg into a stronger unit and by the end of the season Hamburg regained the Bundesliga title. Hamburg would not lose a match the entire second half of the season and Beckenbauer signed off his career with another League title. They unexpectedly lost the UEFA Cup final to the Swedes of IFK Gothenburg, but there was a feeling that this Hamburg squad was on the verge of European glory. Stuttgart welcomed two strikers, Dieter Muller from Koln and Frenchman Didier Six. Former Romanian defector Alexandru Satmareanu (also known as Szamatari) was also able to lineup after the obligatory one year suspension. Striker Peter Reichert moved up from the youth squad with much success. Dragan Holcer left and joined Schalke. Despite these acquisitions, Hansi Muller and Karlheinz Foerster’s injuries disrupted the team’s rhythm and they finished in a poor Ninth position. Jurgen Sundermann took full responsibility and left at the end of the season. The 1982/83 season turned out to be the best in Hamburg’s history. The addition of future International midfielder Wolfgang Rolff (Fortuna Koln) strengthened an already impressive squad. Danish forward Allan Hansen arrived from Odense BK (though to not much effect). They led the League from the start and despite a late push by Werder Bremen they retained the Bundesliga title. They maintained an unbeaten streak in the League for an entire calendar year. Their last loss in the previous season had been to Eintracht Braunschweig (1-2) on January 16, 1982. They would suffer their next League defeat one year later on January 29, 1983 vs. Werder Bremen (2-3) (a run of 36 matches). They reached their zenith by defeating Juventus in the Champions Cup Final in Athens courtesy of an early Felix Magath goal. Happel’s tactics of zonal marking baffled the Italians accustomed to man-to-man marking. 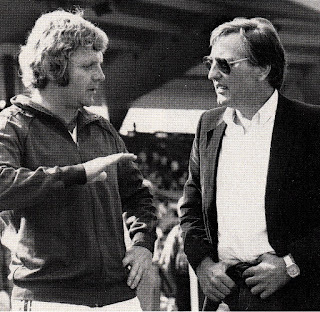 In the summer of 1982, Stuttgart appointed Helmut Benthaus as manager. He arrived after managing Switzerland’s FC Basel for 17 years. He pushed out Dieter Muller, who demanded an automatic starting spot, to France’s Bordeaux. Stuttgart also transferred long serving defender Bernd Martin to Bayern Munich. As part of the exchange, they got Libero Kurt Niedermayer and Icelandic midfielder Asgeir Sigurvinsson from Bayern. Promising midfielder Thomas Kempe arrived from Duisburg. Most importantly, they lost their main star when Hansi Muller joined Internazionale Milano in the summer. A loss that many felt would be costly. 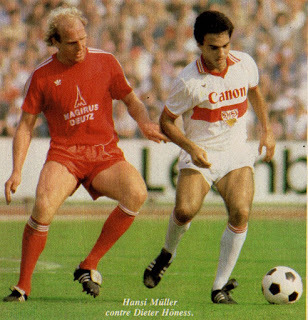 However, Benthaus against expectations, placed Stuttgart back in their customary UEFA Cup zone and they finished third. Hamburg could not have foreseen that this was as high as they would reach. Lars Bastrup returned to his native Denmark. 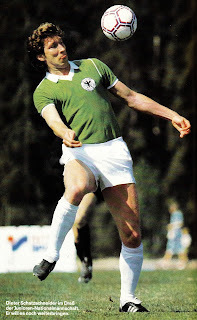 Captain Horst Hrubesch was ageing and Netzer was unwilling to offer him more than a one-year contract and expected his departure. He transferred Hrubesch to Standard Liege. 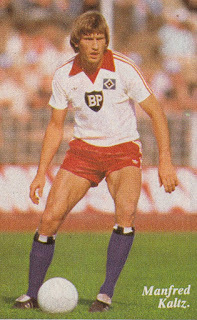 He had anticipated Hrubesch’s departure for more than a year and had acquired Dieter Schatzschneider in 1982 from Hannover and had loaned him for one season to Fortuna Koln. 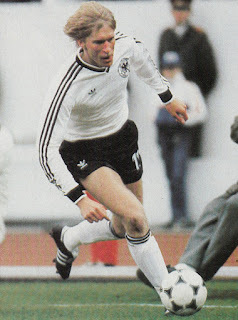 Schatzschenider was a towering striker like Hrubesch and was seen as an ideal replacement. Similarly Wolfram Wuttke arrived from Schalke to replace Bastrup. These two signings would signal Nezter and Hamburg’s downfall. In the annals of Bundesliga, they are often regarded as examples of a disastrous transfer policy. For the 1983/84, Hamburg suffered in the early stages with the signings unable to adapt. They were eliminated in the Second Round of the Champions Cup and were nowhere near the team of the previous two seasons. They also lost the UEFA Super Cup to Aberdeen and the Intercontinental Cup to Gremio. The two new arrivals had been such a problem, that on the day before the second leg vs. Aberdeen (December 19, 1983), the players held a meeting from which Wuttke and Schatzschneider were excluded. They declared that the two players had displayed the wrong attitude and lacked camaraderie with the rest of the squad. Magath, as captain and representative of the squad, demanded from Club President Dr. Wolfgang Klein, the exclusion of the two players. Dr. Wolfgang Klein responded that he would rather field the two players with other Amateurs rather than allow others to dictate team policy. The following day, another team meeting was held that included the two players as well as Netzer and Happel. Magath presented a signed document that expressed regret for the previous meeting. Nezter downplayed the incident and denied the possibility of any revolt. He even said that two players were technically better than Hrubesch and Bastrup but for some reason have not gelled with the rest of the squad. From that point on the team’s form improved and they stayed in the running for the Bundesliga title. Stuttgart, despite regularly finishing near the top for many seasons, were not seen as a title winning team. Much to the surprise of most observers, this was the season that they finally reached their goal. They had lost Frenchman Didier Six in the off season, but welcomed Sweden’s Dan Corneluisson with much success. Future International Guido Buchwald arrived from Stuttgart Kickers and his excellent season would be rewarded with international recognition. They set the pace for most of the season, as Hamburg were struggling. In an exciting season, four teams (Hamburg, Stuttgart, as well as Bayern Munich and B.M’Gladbach) were in a very tight race to win the title. In the end, the penultimate round proved decisive. Stuttgart’s win vs. Werder Bremen, coupled with Hamburg’s loss vs. Eintracht Frankfurt, gave Stuttgart a two-point lead going into the last round. Coincidentally, the two teams were scheduled to play one another at Stuttgart. By all accounts, even going into this round, the title was Stuttgart’s, as Hamburg had to win by five clear goals to overtake Stuttgart on goal difference. In the end Hamburg won (1-0) with a goal by Jurgen Milewski in the 85th minute, but Stuttgart were Bundesliga Champions. This in a way concluded the great Hamburg and Stuttgart eras. Nezter left in 1986 and Happel a year later. Succeeding managers were unable to bring back the glory days. While a Bundesliga mainstay, they were no longer potential title winners. After that Hamburg were either an average side or at best a UEFA Cup squad (some seasons), save a couple of Champions League qualifications. 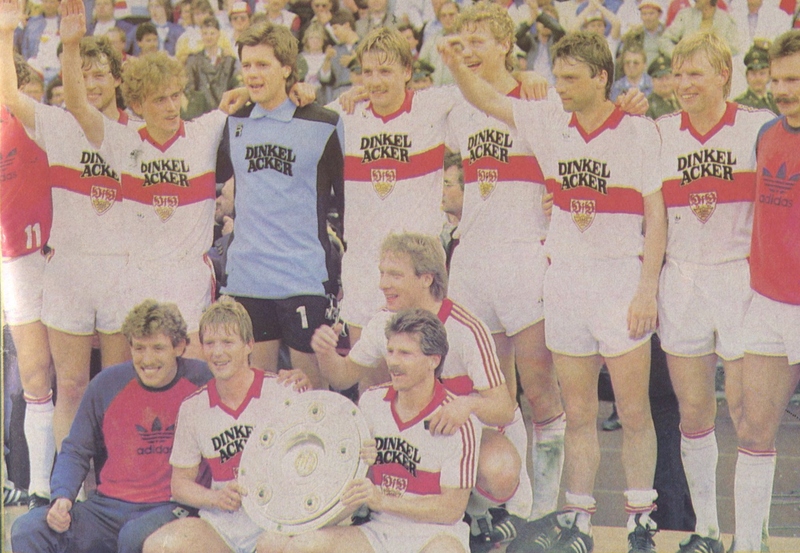 Despite the 1984 League title, Stuttgart had also peaked and in the coming seasons, just like Hamburg, they were either a mid-table side or at best a UEFA Cup one. A Jurgen Klinnsman inspired Stuttgart did reach the UEFA Cup final vs. Maradona’s Napoli in 1989, but the consistency of the late 70s and early 80s was no longer there. Stuttgart did win two further Bundeliga titles, one in 1992 (inspired by Matthias Sammer and containing 1984 survivors Buchwald and Gunther Schaefer) and also in 2007. But in neither case, could anyone see a long-term reign and after each title they went through years of mid-table mediocrity. In the penultimate Round of this last season (2014/15), both teams were in relegation zone. Stuttgart saved itself with a last win, while Hamburg just barely managed to save itself via a playoff. Portuguese midfielder Fernando Chalana was at his height in the 70s and early 80s with Benfica. The Portuguese National team did not qualify for any World Cups in the 1970s. 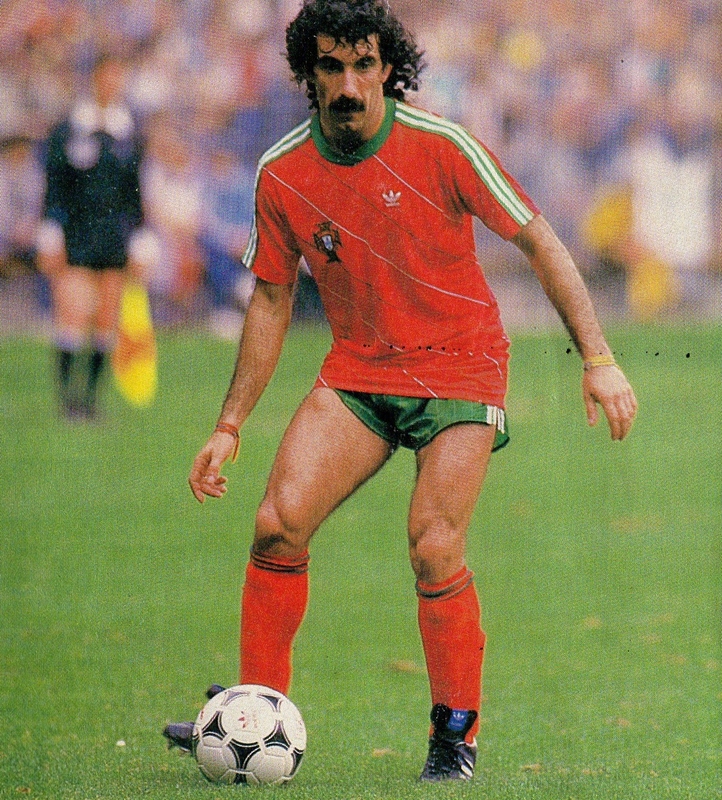 Chalana did inspire Portugal during the 1984 European Championships and earned a move abroad to Bordeaux. However, long term injuries hampered his career there. By the time 1986 World Cup arrived (that Portugal qualified), Chalana was out of national team reckoning. Norwegian forward Hallvar Thoresen was one of Norway’s success stories when it came to players playing abroad. He was successful in the 1980s in Dutch Football with Twente Enschede and specially giants PSV Eindhoven. 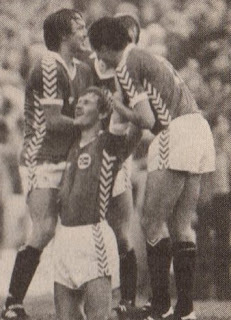 However, the Norway National Team did not qualify for any World Cups during his playing days. Once the renaissance of Norway Footbball started in the early 90s, Thoresen had already retired. 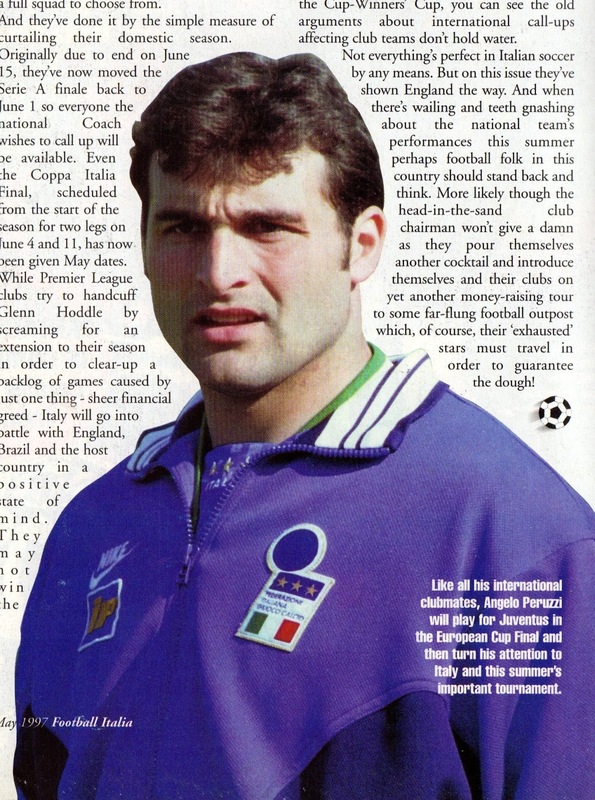 Juventus goalkeeper Angelo Peruzzi was to be Italy’s starting goalkeeper for the 1998 World Cup. However, he suffered an unfortunate injury just weeks before the Tournament and was ruled out of the World Cup. He was a member of Italy’s victorious 2006 World Cup squad, but did not play any matches. West German forward Uwe Rahn starred for Borussia Moenchengladbah in the 1980s. He was one of the new caps in 1984, when Franz Beckenbauer took over as Manager. Beckenbauer selected him for the 1986 World Cup, however, he did not play a single match. Dutch International midfielder Jan Peters had his best years in the 1970s and early 80s, when he starred for NEC Nijmegen and AZ ‘67 Alkmaar. He was a key member of the AZ squad that won the League title in 1981. He was selected after the 1974 World Cup and would have been in line for the 1978 tournament. However, he was not selected and Holland did not qualify for the 1982 World Cup. The problem with Soccer related movies (or any sport for that matter) is that they are cliché ridden. The last second goal, overturning a seemingly lost deficit, the unsung hero who makes the crucial play, etc..
‘Escape To Victory’ (titled ‘Victory’ in USA) has some of those elements. 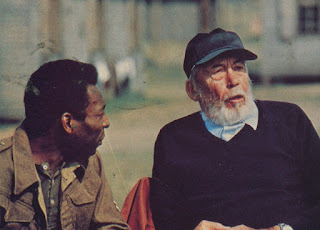 The movie was directed by legendary Hollywood director John Huston and filmed on location in Budapest, Hungary. The stars of the film are Sylvester Stallone, Michael Caine and Max Von Sydow. It also includes then current and recently retired players such as Pele, Bobby Moore, Osvaldo Ardiles, John Wark, Paul van Himst and Kazimierz Deyna. The film is set during World War II in a German Prison Camp for Allied Prisoners of War. Max von Sydow plays a German Officer and Soccer fan, who recognizes Michael Caine’s character, who was a former English Professional. 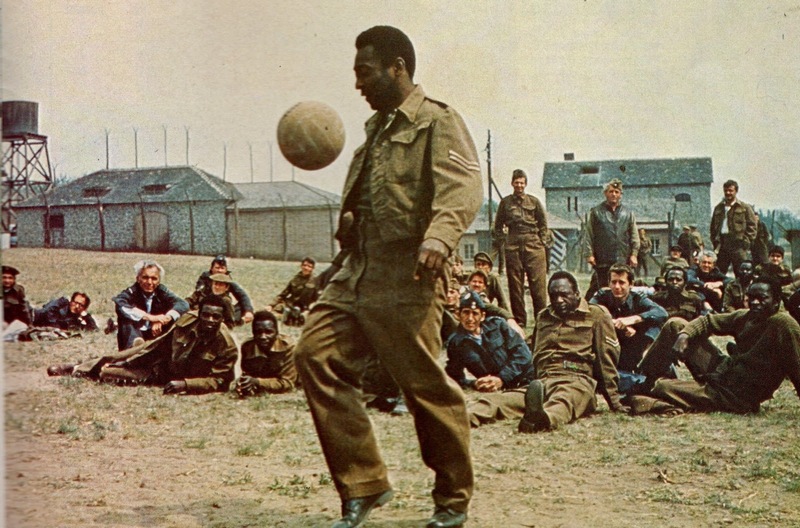 He organizes a match between the Germans and the prisoners that his superiors want to use as a propaganda tool. 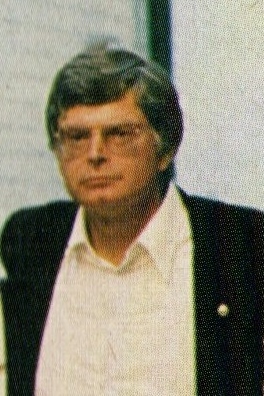 John Colby (Michael Caine) acts as the Player Manager of the Allies. The most talented player of the team is naturally Pele, who plays a Trinidad and Tobago National. Stallone is an American POW (Robert Hatch) who has been in contact with the French Resistance to plan an escape attempt for the team. Though he has no experience in playing soccer, he convinces the manager to be in the team as his presence is crucial for the escape. As a result he becomes the team’s goalkeeper. The French resistance are planning to tunnel to the players locker room to help them escape during the halftime of the match with the Germans. 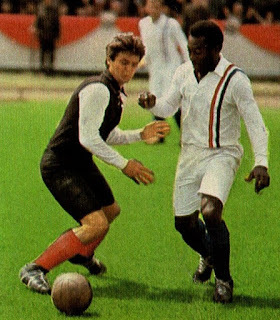 Onto the big match at Paris’ Stade Colombes, predictably the Germans with the complicity of the referee built up a 4-1 halftime lead and clobber Pele’s character (shades of Portugal 1966). At halftime, the Resistance has tunneled in and are ready to rescue the players. However, the players want to remain and win the match. They try to convince Hatch (Stallone), who is the most reluctant. Naturally, he comes back and plays the second half along with the rest of the team. 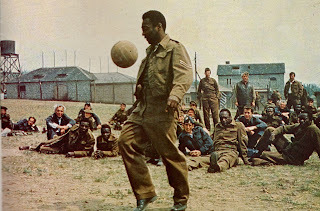 The Allies reduce the deficit and tie up the match with the most dramatic scene of the film (or the most predictable/unbelievable, your preference), when Pele with a scissor kick ties up the match (shown in slow motion and different angles). At this moment, Max Von Sydow’s character refuses to follow the party line and in admiration stands up and claps. The stage is set for the final dramatic act, when the Germans are awarded a penalty kick (naturally awarded under dubious circumstances). Hatch (Stallone) saves the penalty kick (big surprise) with the entire stadium singing ‘La Marseillaise’. At this point the fans rush onto the field and hide the players and usher them to safety and THE END. This was the first movie I saw as a full fledged soccer fan and as a ten year old, I was dazzled at seeing all those big name players as actors in a movie. However, the adult in me would have frowned upon the utter lack of any surprise. 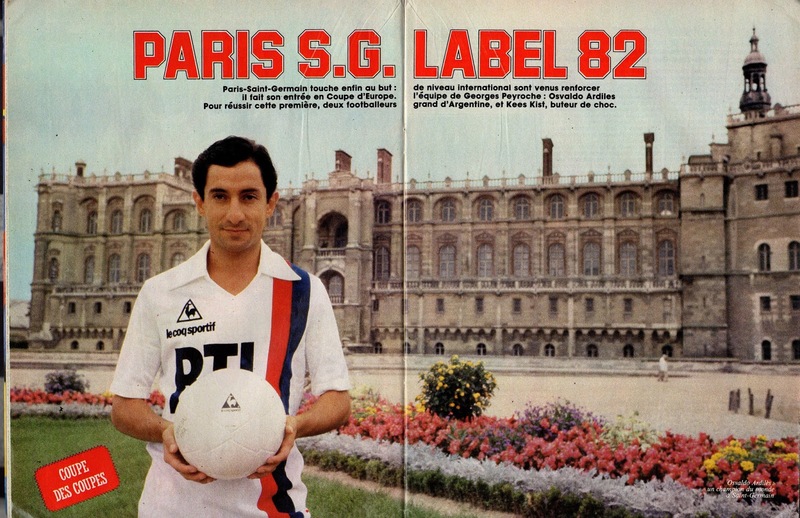 Argentina’s Osvaldo Ardiles was an idol for the fans at England’s Tottenham Hotspur fro many seasons. He had transfered there along with compatriot Ricardo Villa following the 1978 World Cup. He had been one of the rare foreign-born players to adapt to the British game. The outbreak of the Falklands War in 1982 between his Nation and the United Kingdom forced him to leave England on patriotic grounds. He was loaned to France’s Paris St. Germain at the start of the 1982/83 season. In the middle of the season, with the political situation stable, he returned to Tottenham. Pre-War Italy Manager Vittorio Pozzo used the politics of the day to his advantage to motivate his squad. During the 1938 World Cup in France, he was well aware that many Italians that had fled Mussolini’s fascism had settled there. Before Italy’s Opening match at Marseille vs. Norway on June 5, 1938 (Italy2 –Norway 1), he knew that some of the expatriate Italians in the Stadium would jeer the Italian national Anthem, specially the customary fascist salute. He instructed his players to maintain their salute (their arms held up) until all the jeering and heckling had subsided. This way he believed he instilled in them patriotic fervor for the match. It is unclear if he himself was a fascist, many observers do not believe so, though his methods and training regimen seemed dictatorial. It would be simplistic to say a Football match led to an all out war between two neighboring nations. One would have to extensively study the history of the nations and all the social and political events that led to it. Following two World Cup qualifiers that each home nation won, a play-off in neutral Mexico City, on June 26, 1969, was to decide who would qualify for the World Cup. El Salvador won the match (3-2) and on the same day cut off all diplomatic ties with Honduras. On July 14, 1969, the El Salvador Air Force started bombing Honduras. On July 18th, the Organization of American States negotiated a cease-fire to end the conflict. On November 21, 1973, Chile were to host USSR in a World Cup Qualifying playoff in Santiago’s Estadio Nacional. The first leg in Moscow on September 26th had resulted in a scoreless tie. On August 11, 1973, General Augusto Pinochet had assumed control of Chile following a Military Coup. The Soviets refused to play Chile in that Stadium. They claimed that Pinochet’s regime had tortured and executed left leaning political prisoners in that same stadium following the Coup. The match was forfeited and Chile qualified for the World Cup. Chile was present at the field on matchday and scored after a mock kick-off. Incidentally right after the farce ‘match’, Chile played a Friendly vs. Brazil’s Santos and lost 0-5. 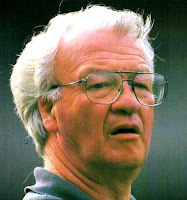 Following the 1986 World Cup, Northern Ireland Manager was employed as a Manager in Saudi Arabia with Al Nassr. He was still the Northern Ireland National Team manager, in addition to his management duties with Al Nassr. Due to obvious political reasons, he diplomatically did not manage Northern Ireland for that match. James Archibald Platt stood in for him.